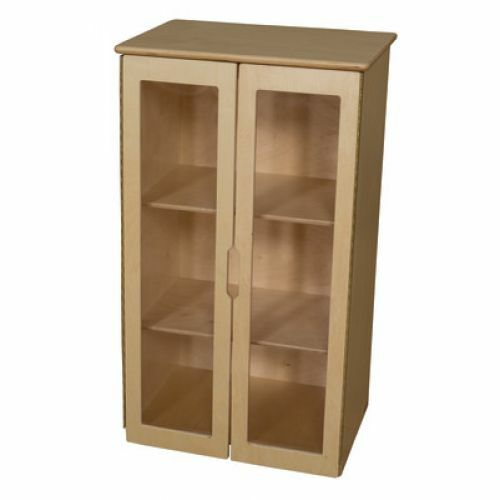 The My Cottage hutch has full length Tip-Not doors with full length pinch-me-not hinges combined with fully rounded corners and edges for safety. Full length acrylic door panels offer students a view inside the storage unit to browse for their kitchen needs. Greenguard® Gold certified. Constructed with 100% Plywood and our exclusive Tuff-Gloss™ UV finish. Fully assembled. Lifetime warranty. Dimensions: 15"D x 36"H x 20 1/2"W. Weight 40 lbs.